For fans of Wishbone Ash, or in fact any classy, poised Rock with an eye on the rich, full sound of the seventies, this album is a must. 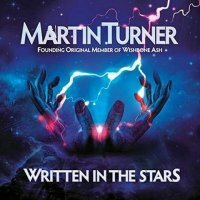 As it says under his name on the front of 'Written In The Stars', Martin Turner is a "founding original member of Wishbone Ash". If you needed any confirmation of that, settle down, relax and soak up the unmistakably WA-like sounds this album serves up. Amazingly this is Turner's first studio outing in some eighteen years – all the more surprising when you take into account just how active he's been on the live circuit during all of that time. However, with the supremely confident introduction that this album is blessed with, you'd never know, 'The Big Bang (Overture)' segueing masterfully into 'The Beauty Of Chaos'. The first is a short instrumental, the latter a lengthy one. Together they make a grand statement and one that is rammed home through the album's magnificent title track, where harmony twin vocals and twin guitars offer the most obvious nod to Turner's past. With long term guitarist Ray Hatfield leaving the band towards the end of the creation of 'Written...', both he and his replacement feature across the album, with Misha Nikolc making a mighty statement during the title cut, 'Pretty Little Girls' and 'Interstellar Rockstar'. Hatfield however was no slouch, hence alongside the ever present six string of Danny Wilson, the almost Roy Orbison (with a distortion peddle) meets ELO (without their strings) of 'Lovers' packs an unexpected punch, while 'The Lonely Star' offers a beautiful, balanced track where the only vocals are a lone solitary whisper. The guitar tradeoffs, while subtle here, are blissful and when combined with the poised, yet powerful bass from Turner himself, really show something to behold. 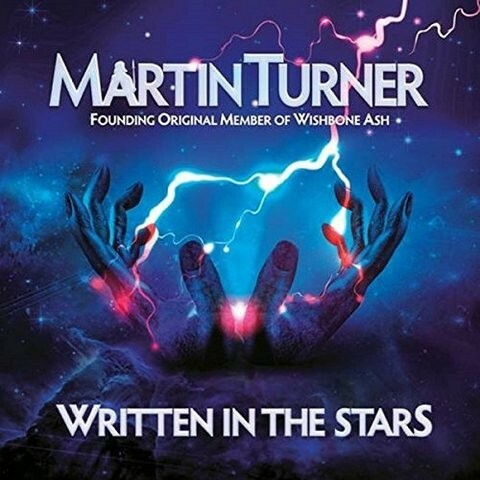 Vocally Turner is in top form, easily handling the jostling '...Girls', thriving on the easier vibe of 'Falling Sands' and adding a dreamy, otherworldly quality to the sixties Space Rock explosion of '...Rockstar'.